The Lanisters, rulers of Kings Landing, have built up a long list on enemies: House Dayne of Dorne, House Tyrell of Highgarden, House Greyjoy, etc. Now alone, they pose no threat. But what happens when they join a woman commanding an army of Unsullied, leading a horde of Dothraki, wielding three large dragons, hell-bent on sitting the Iron Throne and ruling the Seven Kingdoms? Daenerys Targaryen goes from exile to earn a mouthful of titles – Queen of Meereen, Khaleesi of the Great Grass Sea, Mother of Dragons, and so on. 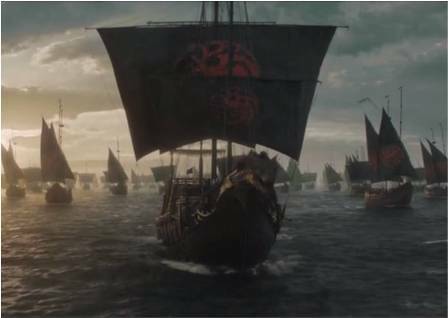 Now she has her ships, she has her armies, she has the support of several houses, and it’s finally time for the Battle of Kings Landing. Daenerys is going to take Kings Landing from the Lanisters. This war is going to be bigger than the Battle of Winterfell. 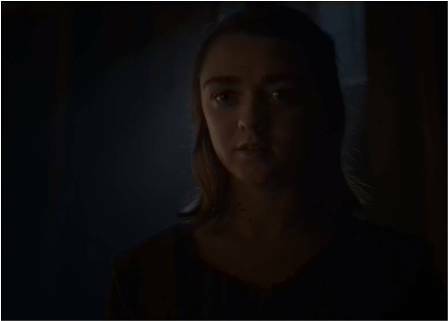 After training with the guild of Faceless Men, temporarily losing her eyesight only to gain the ability to fight in the dark, Arya has truly become a master assassin. She displays her skill at the end of season 6 by pretending to be a servant girl, getting close to Walder Fray, tricking him into eating pie baked with the body parts of his own sons, then slitting his throat. All this without even being detected. 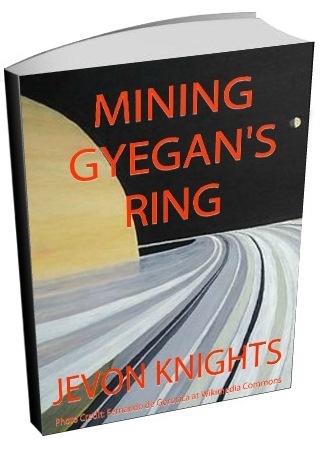 He’s just one of many on her list doomed men. While the likes of Joffrey and Tywin have already been taken care of, Arya will still shorten her list by killing Ilyn (the guy who executed her father) and Melisandre (the Lord of Light witch). But characters like Cersei and the Mountain are a bit too powerful to die for now so they’ll live. I believe Arya’s path will take her to Beric, Sandor (the Hound), and Thoros where she’ll try to kill them, but instead they’ll convince her to join the Brotherhood Without Banners and assist with their plans of fighting the White Walkers. Daenerys is going to take the Iron Throne, I have no doubt about that, but the real war isn’t with the Lanisters for Kings Landing. 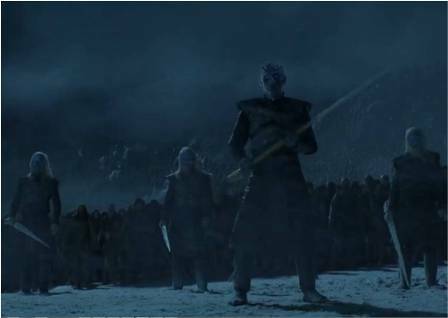 The real war is with the White Walkers for all of Westeros, and possibly the world. Yes, winter is finally here. The White Walkers have harassed the living for several seasons now, their latest acts include destroying the Wildling village of Hardhome, and killing the Three-eyed Raven. Now it’s finally time for them to continue their conquest south beyond the Wall. Daenerys, with all her armies and her dragons, wouldn’t be able to stop them. And Jon, now declared King of the North, wouldn’t be able to stop them. I think Daenerys and Jon will make a deal to fight the White Walkers together, and the trade will be to allow Jon to continue ruling the north independently. But even that won’t be enough. The key to winning this war is Brandon, the new Three-eyed Raven, something that will only be realized at the end of season 7. No normal blade can kill a White Walker. To do that, you need either dragon glass, or Valyrian steel. All the dragon glass weapons were previously lost, but there’re still Valyrian steel swords about. And their wielders are going to slay tons of White Walkers. Jon Snow, King of the North, received the sword Longclaw from the former captain of the Night’s Watch. During the Battle of Hardhome, we saw how Jon used it to cut down several White Walkers. Brienne of Tarth received the sword Oathkeeper as a gift, ironically from Jaime Lannister, and we’ve seen her best many deadly warriors with it. 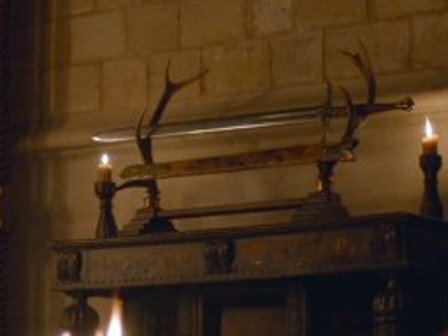 Then there’s Samwell Tarly, and in his possession is the sword Heartsbane, stolen from his father. But let’s face it, what is Sam going to do with Valyrian steel? No, this sword is going to end up in the hands Sandor Clegane, also known as the Hound. He is an incredible fighter, and when he gets this sword, White Walkers will drop by the dozen. Sam’s no warrior, but that doesn’t mean he’s not important. 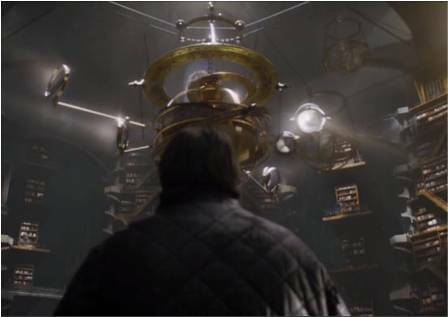 At the end of season 6, Sam arrives at the Citadel and enters a library with a vast hall lined with hundreds of shelves of books. The Library of the Maesters. All this knowledge has to account for something. Yes, Sam is going to uncover something big, so important that it will single-handedly tip the war against the White Walkers in his direction. What could possibly be so important? I believe he is going to discover how to make dragon glass. We saw that dragon glass can kill White Walkers, and that it was used in their creation. 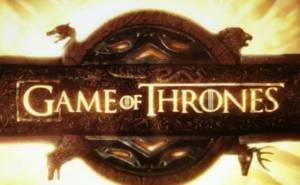 Imagine arming every Northman, Wildling, Unsullied, and Dothraki with weapons that can finally kill the undead. Now there’ve got a fighting. Thanks Sam. So these are my predictions for season 7. Do you agree with any of them? What’s yours? Let me know in the comments. You better hurry, Suzanne. Winter will be here this Sunday.